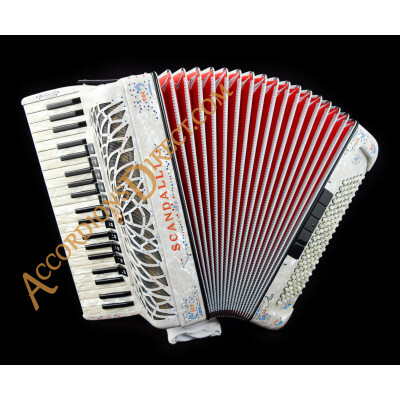 The most popular type of accordion and straightforward to play. 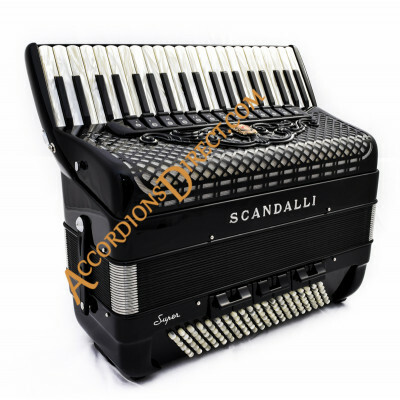 Play like a piano with automatic chord generation from the bass chord buttons. 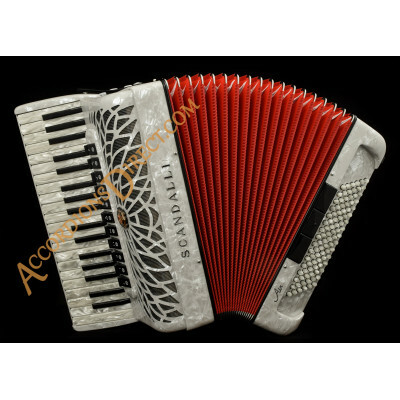 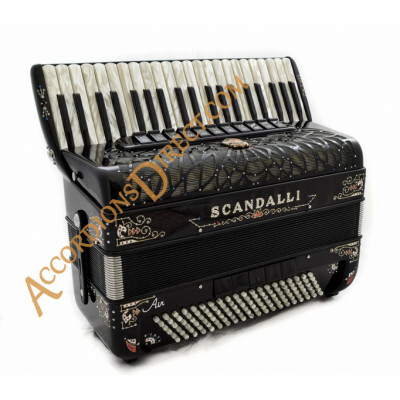 Our piano accordions are from top Italian manufacturers and our range features models with a variety of features and prices to match different requirements. 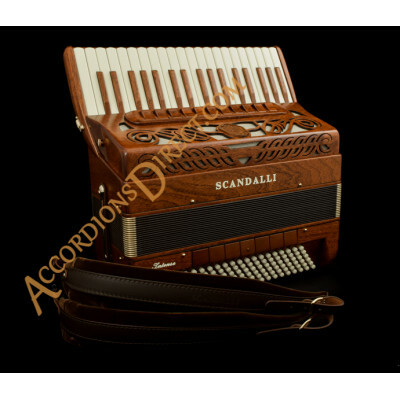 We have models with double tone chambers (cassotto) which have a rich rounded tone, and models without cassotto for players wishing more edge for Scottish or folk music. 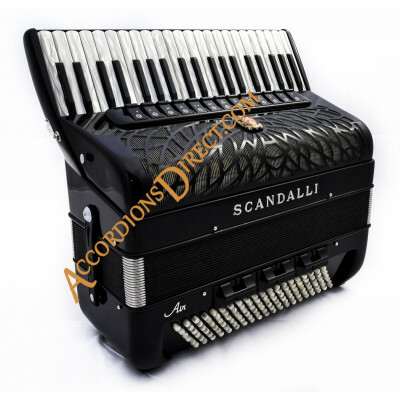 While we specialise in accordions with Scottish musette tuning, some of our accordions are double octave tuned. 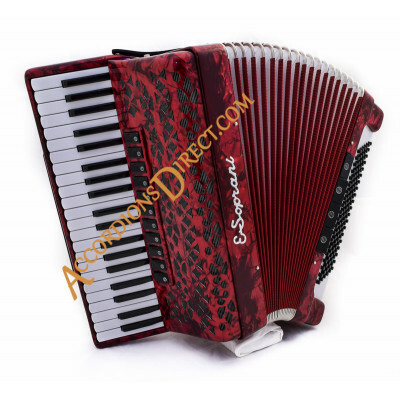 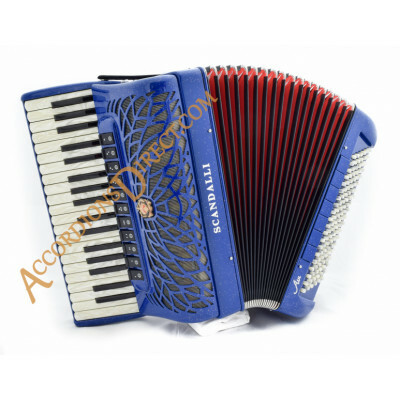 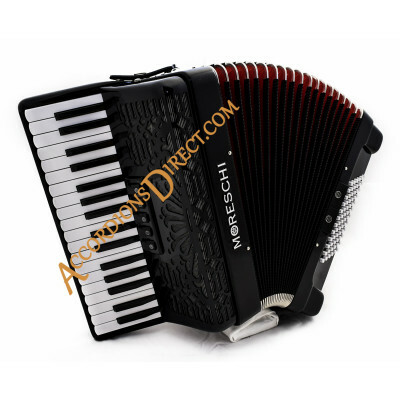 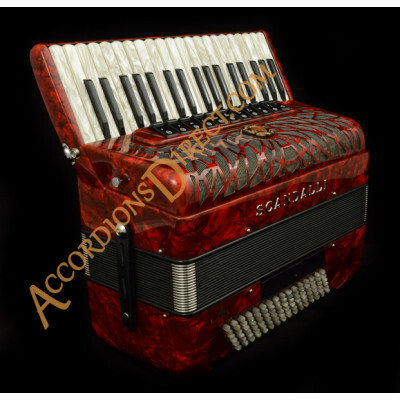 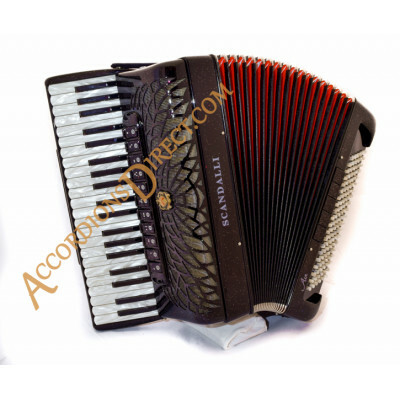 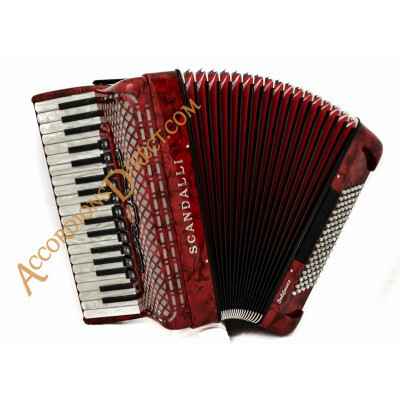 Many of our accordions are unique and specially made for us, and some have distinctive decoration, colour or finish. 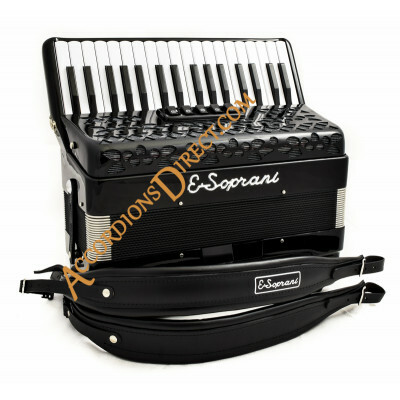 For light weight accordions, check out our digital reedless accordions. 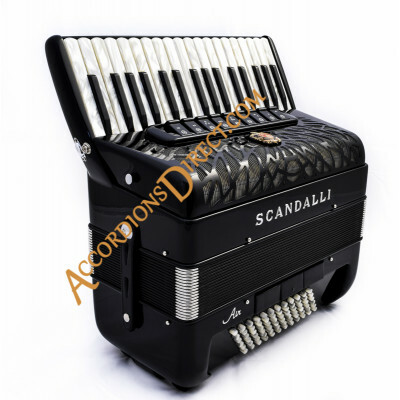 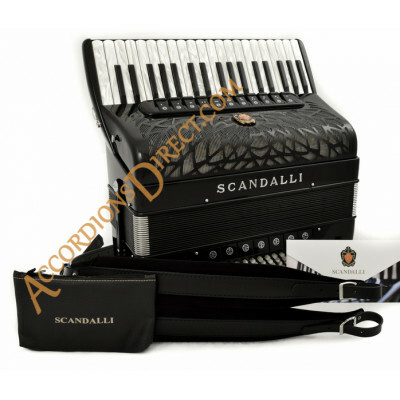 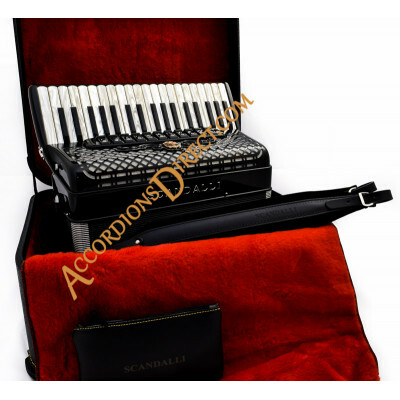 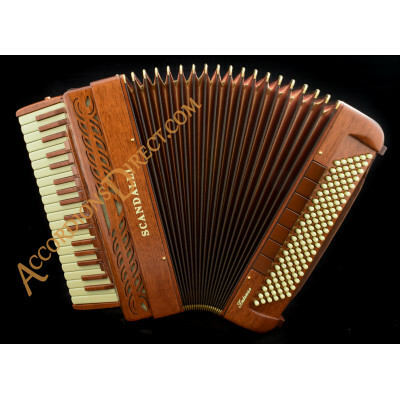 And if you are looking for something different, please check our pages on Accordions Manufactured to Order and Conservatorio models. 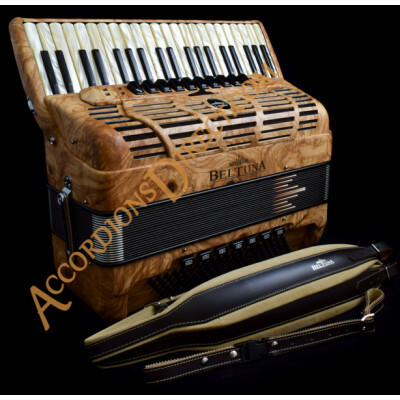 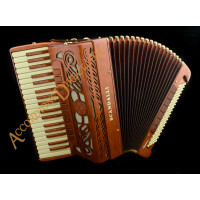 Beltuna Leader IV 120 bass double tone chamber musette tuned piano accordion in olive wood. 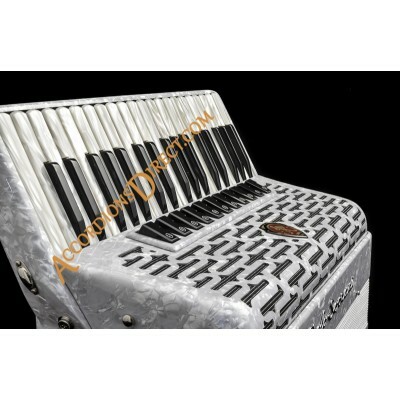 MIDI options available. 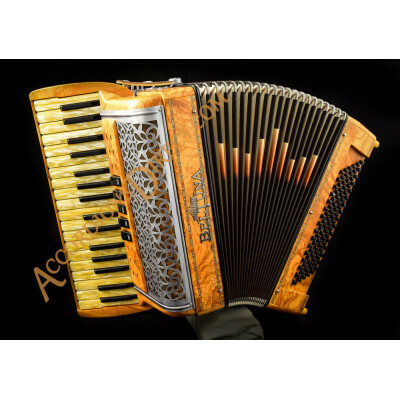 Unique accordion superbly finished in olive wood. 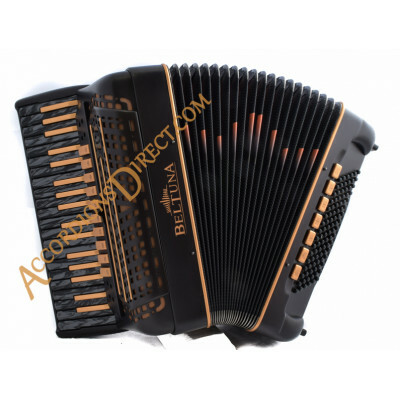 This model has a splendid rich tone enhanced by th..
Beltuna Leader IV 96 bass double tone chamber musette tuned piano accordion in black and copper. 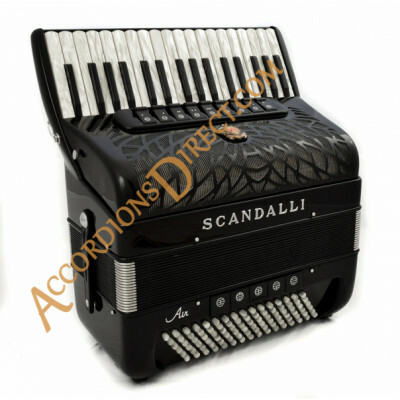 MIDI options available. 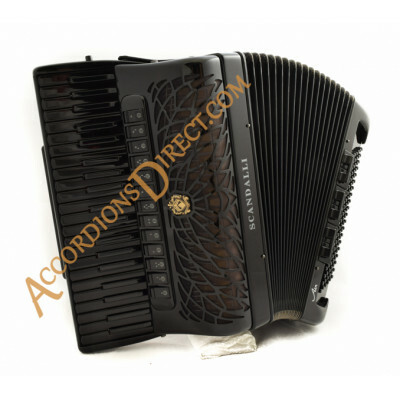 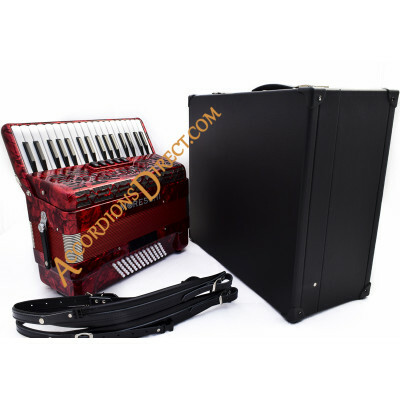 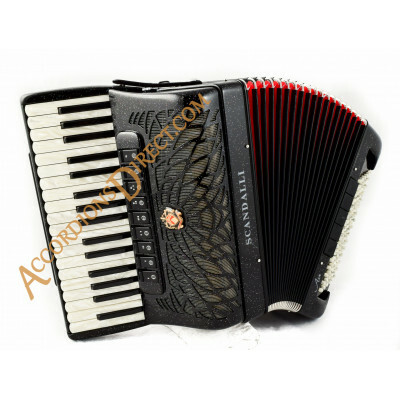 Distinctive accordion in lava black with copper 'black' keys, couplers and trim. 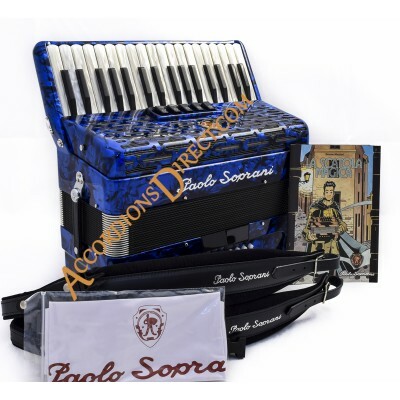 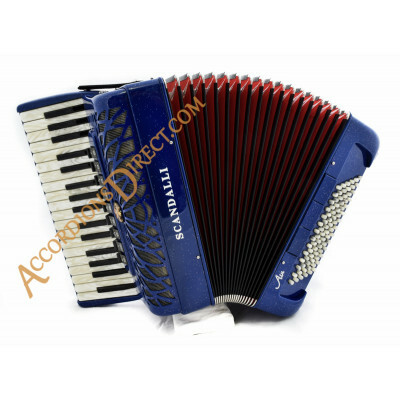 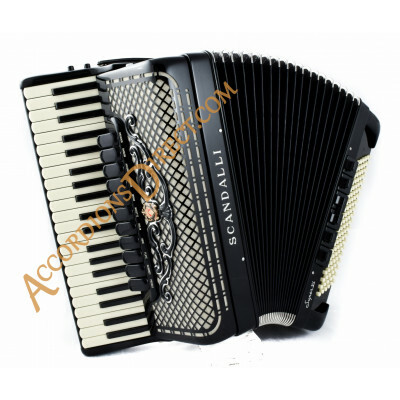 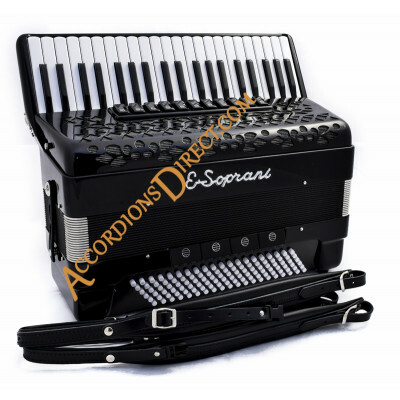 This model has a sp..
Paolo Soprani 37 key 96 bass 4 voice piano accordion. 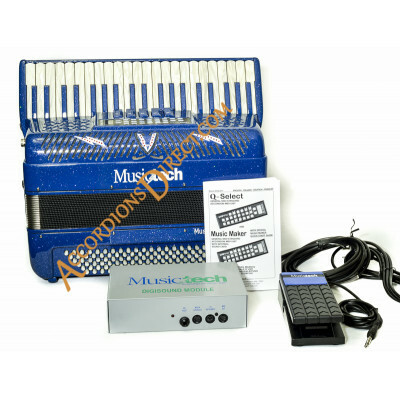 Midi expansion available. 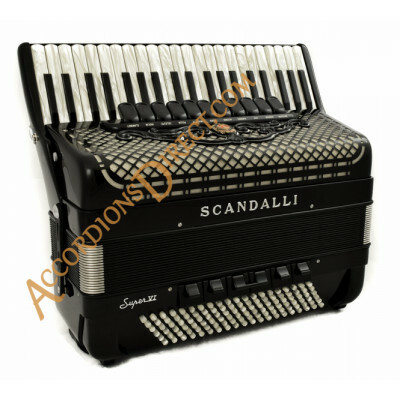 This is a really nice Paolo Soprani in a compact version but with 4 voice full Scottish tuning. 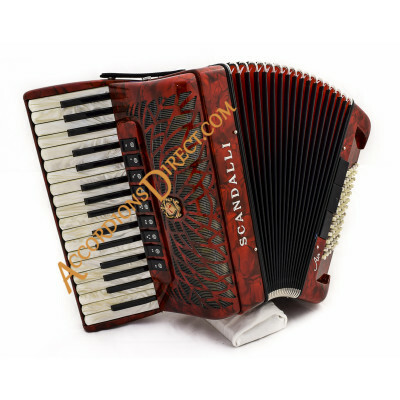 &nbs..